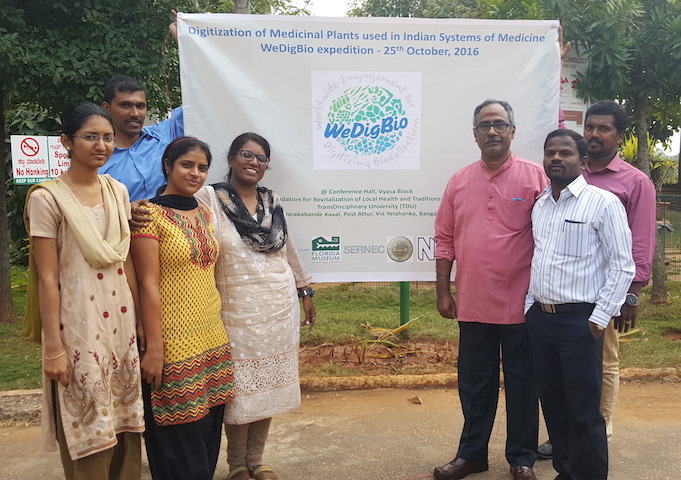 Worldwide Engagement for Digitizing Biocollections, or WeDigBio, is a global data campaign, virtual science festival, and local outreach opportunity, all rolled into one. The annual, 4-day WeDigBio event mobilizes participants to create digital data about biodiversity specimens, including fish in jars, plants on sheets, insects on pins, and fossils in drawers. Some participants are at onsite events hosted by museums, field stations, universities, science classrooms, or other organizations. Those onsite events provide opportunities for research talks or other interactions with those using the newly created data to benefit science and society. Other participants are distributed individually around the world. For those, we offer the virtual meeting space Sococo, which contains live feeds from some of the onsite events and provides another way to interact with scientists and others. 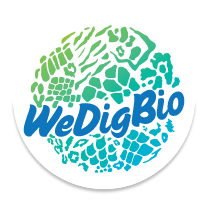 The WeDigBio 2018 event will occur from October 18–21. If you'd like to supercharge your outreach or education activities as an onsite event host, read through the Event Planning suggestions, check out the recaps of WeDigBio 2017 for inspiration, sign up here so that we can send you stickers and tattoos for your participants, and follow these directions for creating an event at SciStarter. Our recent open-access BioScience article provides some additional background, as do other resources elsewhere on this site (e.g., Educational Excercises, FAQs). Join us in making the WeDigBio 2018 event the most inclusive, productive, and exciting event yet!